Cairns Travel Agents【Dr.Tours】 – LOWEST PRICE GUARANTEED!! PLEASE CONTACT US VIA FACEBOOK MESSENGER. WE WILL GIVE YOU SPECIAL PRICES. PLEASE CONTACT US VIA FACEBOOK MESSENGER. WE WILL GIVE YOU SPECIAL PRICES. This is a 3 day ultimate package for adventurers! Skydiving, rafting, and snorkelling on the Great Barrier Reef are included. 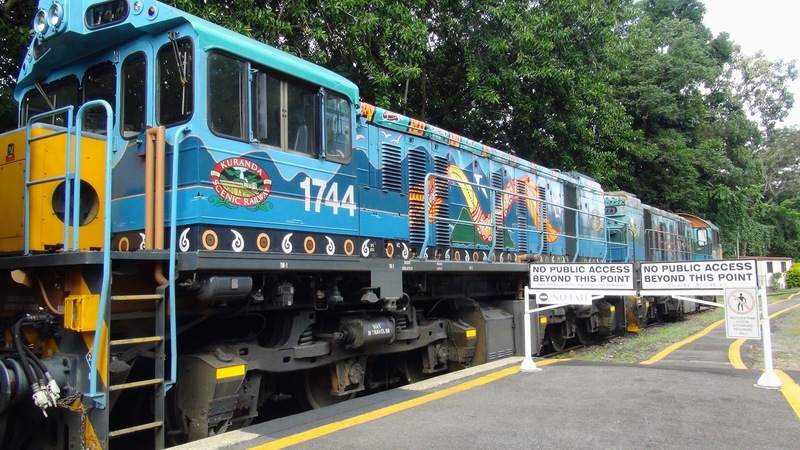 This tour includes the Skyrail, Kuranda Scenic Train, and one way accommodation transfer. This 2 day package tour includes all you need to enjoy both Kuranda and the Great Barrier Reef. This 2 day package includes one day trip to Kuranda and one of the most popular destinations Green Island and Great Barrier Reef. 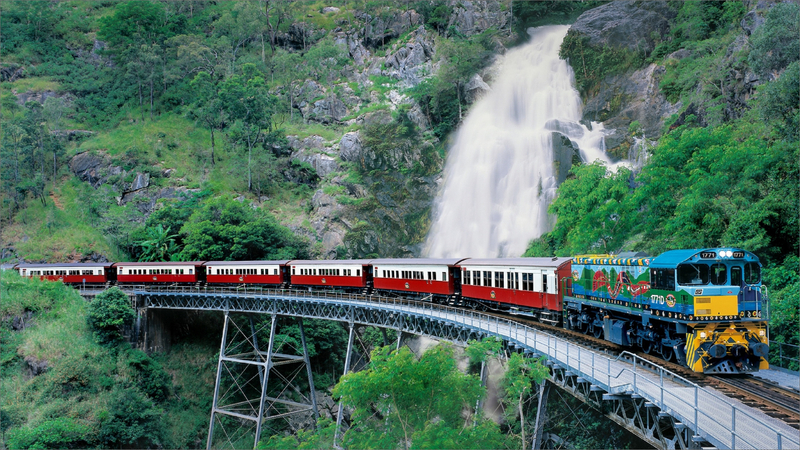 This 2 day package tour takes you to the popular destinations Kuranda and Green Island. Feel the passion of the beautiful stories of Jose Paronella immigrated to Australia with dreams and aspired to build a beautiful castle for people. Guaranteed delicious mud crab lunch comes with fishing experience! If you catch a fish, it will be freshly cooked into sashimi (free) as well! Meet and learn about crocodiles and local wildlife in Tropical North Queensland! Are you looking for an excitement? Why not bungy jump or jungle swing and feel the adrenalin hit to remind you you’re alive! Meet the Indigenous rainforest people and learn traditional language songs before the ceremonial fire is lit with a spectacular fire ball shooting towards the stars. This is a day tour to Cape Tribulation where the world’s oldest continually surviving tropical rainforests, meet the world’s greatest living tropical reef, the Great Barrier Reef. A Cape Tribulation day tour is something you must add to your Tropical North Queensland holiday. Amazing natural beauty and destinations, ancient rainforest flora and fauna, wide rivers and sandy beaches, are just the beginning. Take this opportunity to skydive and make an lifetime experience! You can choose either 7000ft or 15000ft. Tandem Cairns offers both park landing and beach landing with a selection of departure time either at 8:00/11:00am. Blazing Saddles Adventures is the longest established horse riding and quad bike tour company in Far North Queensland. Mount-N-Ride has a great reputation for great customer care and beginners to experienced horse riders can enjoy their day in the beautiful 150 acre property. If you are looking for excitement and an adventure, do not miss this opportunity to raft in world renowned the Tully River, which is regarded as Australia’s best rafting location. Anyone who wants to experience rafting in the beautiful nature of Cairns is welcome to join this exciting and thrilling activity as it requires no experience! See the spectacular view over Mareeba Valley on the Atherton Tablelands, which has consistent flying conditions with over 300 sunny days every year. Fitzroy Island is a beautiful island with a rainforest covering and its own fringe coral reef system. Enjoy snorkelling, walking and lazing on the beach! Departing daily from Cairns Marina, Sunlover Reef Cruises will take you to the Moore Reef Pontoon and introduces you to the wonder of The Great Barrier Reef. 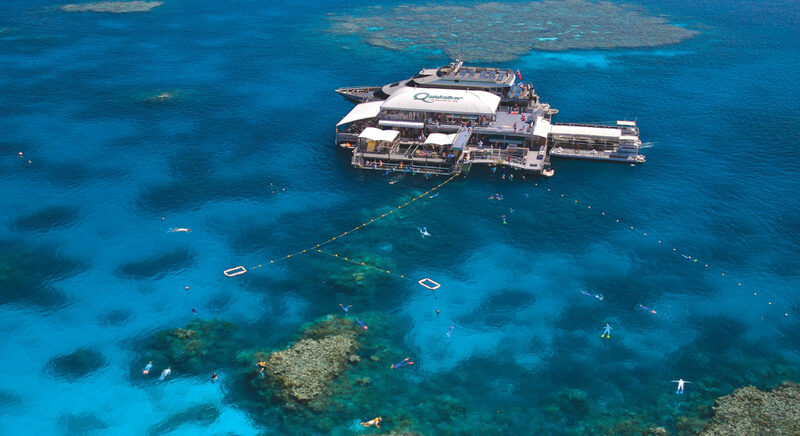 Deep Sea Divers Den has 17 exclusive moorings on the Outer Great Barrier Reef at Norman, Saxon and Hastings reefs. Snorkel and dive with myriads of fish, rays, turtles, sharks, and more! SeaQuest is a liveaboard transfer vessel and offers the budget conscious great value for money with the chance to experience unlimited snorkelling at two separate reef locations on the Outer Reef. Dive and snorkel the Great Barrier Reef with Cairns’ expert reef operators. Tusa Dive are Cairns local day dive operators with more than 30 years experience, and access to more than 16 unique sites on the outer Great Barrier Reef. Agincourt Reef is at the very outer edge of the Great Barrier Reef and part of the ribbon reefs, which are recognised as the most pristine eco systems in the reef’s environment. Reef Magic Cruises has exclusive access to a stunning coral reef location selected for its superior water clarity, coral quality and overall diversity of marine life. How about going to the Great Barrier Reef in an elegant way? Flying to the Moore Reef by the scenic helicopter will surely do the job! The beautiful 32 metre sailing catamaran Ocean Spirit takes you to renowned Michaelmas Cay where the contrast of the beach and the reef is magnificent. Big Cat Green Island Cruises run their exclusive Semi-Submarine tour to explore the corals and marine life of the reef. Enjoy your relaxing day lazing on the beach, strolling through the rainforest, and participating in a variety of activities! Snorkelling equipment AND glass bottom boat are included. Enjoy your relaxing day lazing on the beach, strolling through the rainforest, and participating in a variety of activities! Snorkelling equipment OR glass bottom boat are included. The complete reef and island experience awaits with this exciting tour. You'll get to stay on Green Island for 2 hours and on the Outer Great Barrier Reef pontoon for 3 hours in this tour. Dr. Tours offers a wide range of tours such as the Great Barrier Reef, Rainforest, Rafting, Skydiving, and more. 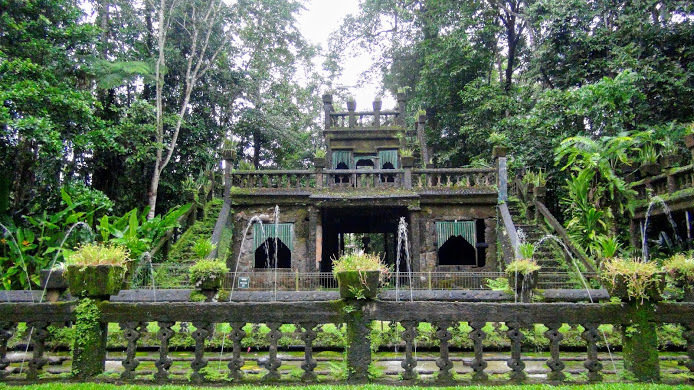 Dr. Tours guarantees the best price and if you book multiple tours, we will give you more discounts! Dr. Tours’ platform is designed for fast and easy bookings. Please contact us via phone, email, or even visit our office if you have any questions on tours. We don’t just sell tours but love travelling and know our products well.